Formed in 1991, the New Mill Male Voice Choir has over 60 members and meets for rehearsals followed by supper and a get together every Tuesday evening in New Mill near Holmfirth. Our repertoire includes traditional male voice choir items, as well as songs from musicals and other popular numbers. 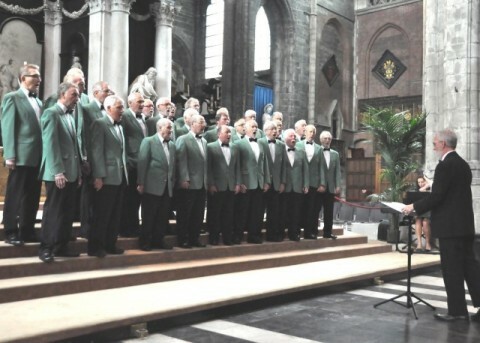 The choir has toured throughout the UK and Europe and in 2015, will once again be taking part in the Cornwall International Male Voice Choir Festival. Visit our web site at www.newmillmvc.org.uk for much more information about the choir and how to become a member.